The earliest memories I have is leaning on to my grandma, while sitting and feeling the rhythmic clicking of her knitting needles. The love we had for each other had no boundaries and most things she knitted were for me. When I was older we would walk to the yarn store and decide together on the favorite yarn for the next wonderful thing she would be hand knitting. These memories have more and more meaning to me as I get older. I cannot explain the internal joy that invades me when I see in stores rows and rows of multiple color yarns, that simple and orderly space provides me with the sense that all is OK and a peaceful feeling takes over. While attending an exhibit in Santiago, Chile; where many artisans were showing there skills through a variety of products, I came across a small group that was doing wonderful things hand dying wool and felting it. Irresistible. 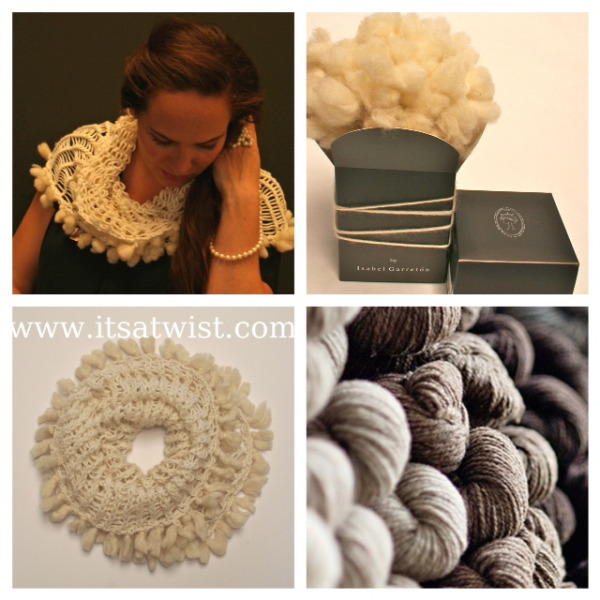 The research that followed our initial meeting, resulted in the creation of a unique, versatile and feminine scarf called “ItsATwist”. What is unique about it is that by putting your arms through it and opening them, you will make “ItsATwist" very wide and you can wear it as a cowl, a shawl over your shoulders, etc…then you take it off and pull from both ends and make it long to become a scarf over a coat or however you want to use it. The wonderful thing is that it can go from wide to long to wide to long endlessly. Spirit, with eight options hand knitted with man made fibers for those who do not care for natural wool. 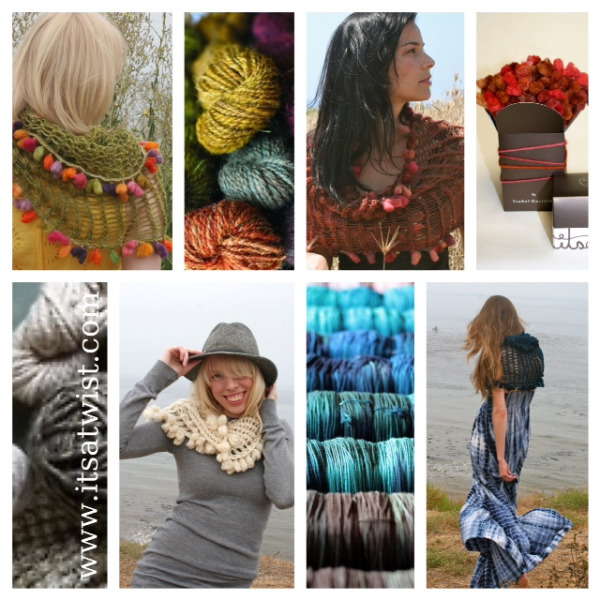 They are all trimmed with felted puffs that add playfulness and warmth. Thinking that this is a product that would appeal to younger and older women, that it would be flattering to all sizes, we concluded it would make an easy and special gift. As a gift, it had to have a fun box! We came up with an elegant dark chocolate box that opens up in a way that presents the puffs as a bouquet. We also have a gift for you! 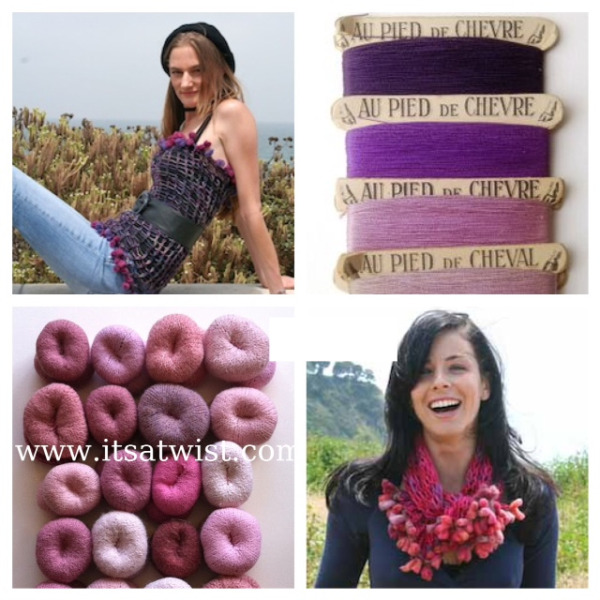 This Holiday season we are offering 50% off the "ItsATwist" so you can give one to a friend and give a gift to yourself while helping women artisans! We'd love to see your Twist on it! 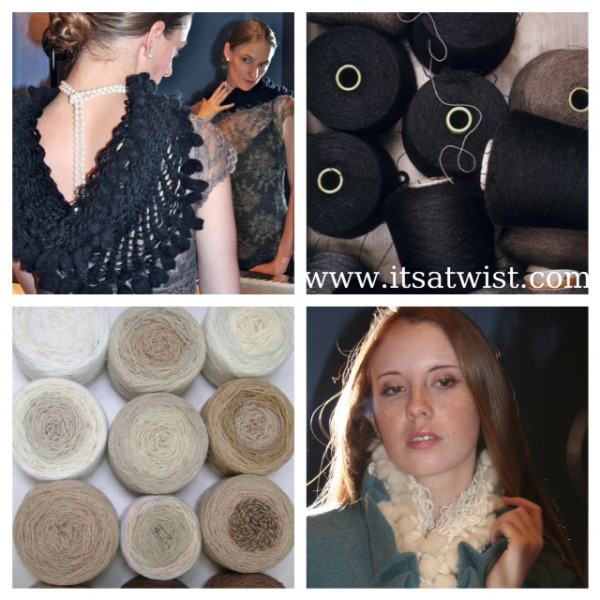 Tell us if you love 'ItsATwist' like we do on Facebook, Instagram, Twitter, and Pinterest!